Although hobos lived hand-to-mouth existences, their goal was to send money back home to parents or a wife with children quartering with relatives. The ‘bos helped each other to navigate a city. Using a secret code, they warned each other of danger and guided hungry souls to soft hearted housewives. The code was carved on fence posts, stair steps, over doors, on the bark of trees. Using simple straight lines and curves friendly to a pocket knife, one ‘bo prevented the aggressive police or citizens from harming fellow travelers. Code signs warned of mean dogs, unhealthy water or chain gangs. In the code, a stylized T indicated that a ‘bo could work for food. A simple cross indicated that the hobo should talk religion to get a bite. The sign of a shovel promised that work might be available. Reading the code helped the men with colorful names like Box Car Willie, North Bend Fred, Shorty Montana, Slim Pickings, or Detroit Dan to survive the constant dangers of homelessness. Henninger includes instructions for creating a quilt square for each of the 55 symbols used by the hobos. She uses individual designs to emphasize a message in unique quilts. 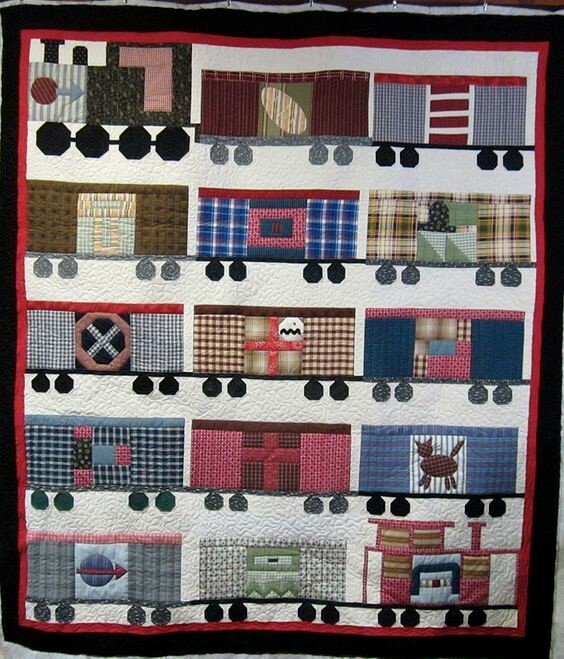 My favorite is the one with boxcars rolling across the cloth in celebration of the railroad. 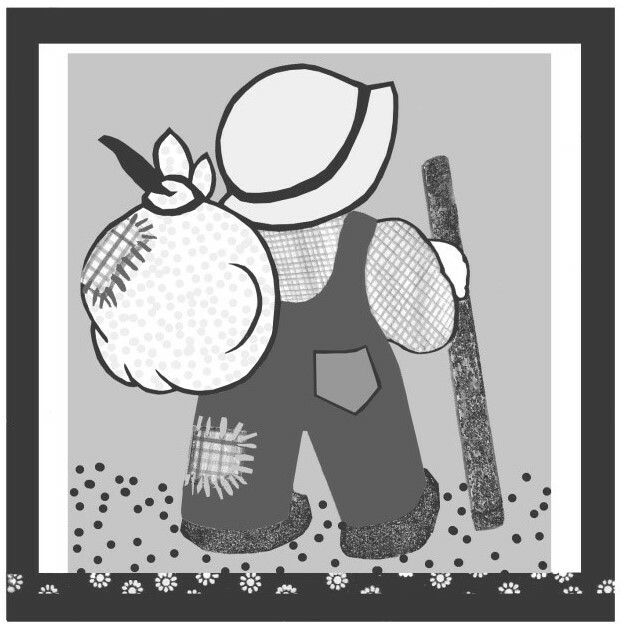 Another quilt is covered with spades, emphasizing the agonizing desire of ‘bos to work. The breathtaking finale is a quilt that incorporates all the symbols of survival utilized by the hobos. This masterpiece of historical information is a reminder that in the darkest of times, the human soul reaches out to one another in compassion. A mortal hand clasping the palm of an angel in frayed disguise. The most heart wrenching fact about this era lies in the name given to those teens and men who wanted to labor and earn their keep. Hobo. 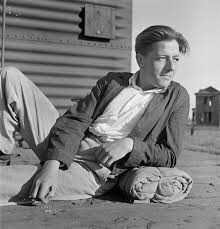 The word is a shortened expression from the depths of these wanderer’s hearts. 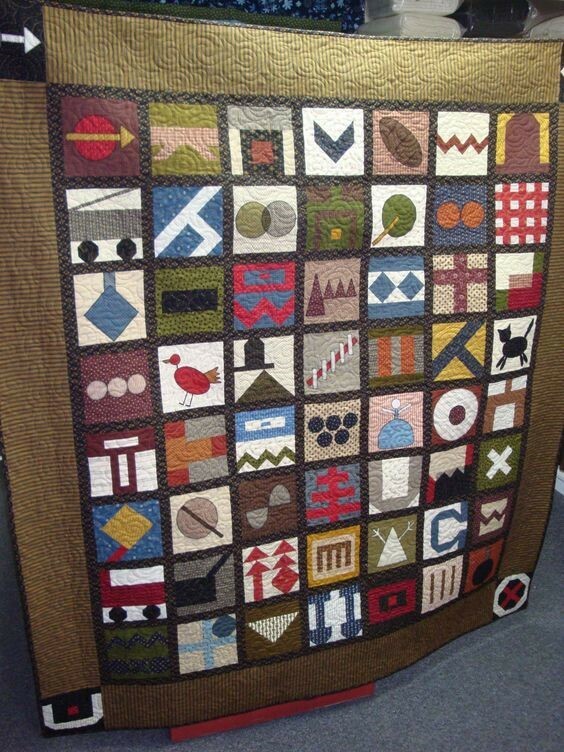 Hobo Quilt by Debra G. Henniger with over 55 unique block designs from her book, HOBO QUILTS. Debra G. Henniger, hobo code, hobo quilts, hobos, ‘bos. Bookmark.